This room is slightly larger than Kame, and gets more indirect sunlight. It can accommodate one couple (one double size futon) or two single futons comfortably. It can take one double and one single, with some room to spare, if you store your luggage efficiently, and we frequently take parties of three. It can accommodate 3 single futons in a pinch, but we don't recommend it - in that case hachijo is probably better. It has an oshire (Japanese bedding closet) where you can store luggage out of the way. 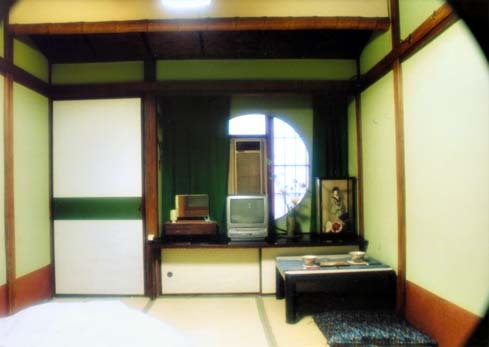 The room is called "Matsu" (the Japanese word for Pine) for its wooden construction. Tama Ryokan is a Project Persephone affiliate-program participant.